We manufacture our decorative stainless steel wire rope and cable to your specific requirements, whether it is for lifting applications of just for aesthetic purposes. Our stainless steel cable is graded AISI 316 and are suitable for marine operations, they also comply with EN12385 & EN10264. Rope Services Direct can make up your rope with any end fitting you require; we have an extensive range of end terminations and other fittings in stainless steel to compliment your rope. Because we can press the fittings ourselves, the choice is yours, for example you could have a turnbuckle on one end and a swageless fork on the other, the variations are endless. Stainless steel wire rope is an integral product in numerous industries; this is because of its special qualities. 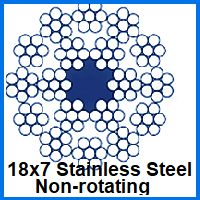 Stainless steel is highly corrosive resistant and so ideal for outdoor uses. The marine and aviation industries benefit greatly from the great qualities of stainless steel rope, as do the water and sewage treatment industries where the rope is constantly in wet/damp conditions. Normal steel cable would have to be replaced on a regular basis if used in these conditions, thus the use of stainless steel rope is a more cost effective product in the long run, although may cost a little more initially. Stainless steel cable is also very popular for balustrades on stairs, balconies and decking’s, or perhaps to create hanging shelving for a bespoke up-to-date modern look for any home. A full range of swaged and swage less fittings are available for all sizes of rope and are pressed using our own pressing facilities. We also stock many types of stainless steel end terminations and other fittings to complete your bespoke assembly. Stainless steel is strong, resilient and versatile and it is because of this that this type of rope has become an important piece of equipment in many industries. Stainless steel cable, although more costly, is strong and highly corrosive resistant and its key advantage over normal galvanized steel rope; because of this resistance it is commonly utilized within the marine, aviation, water and sewage treatment areas. Stainless steel has an aesthetically pleasing nature and stays that way, because of this it is often utilized in architectural designs on modern buildings and even in homes and gardens for things like balustrades, hanging shelves or even decking to create an up to date contemporary look. Stainless steel wire may be used inside or out, throughout the home or in commercial settings. Commonly used in homes for things like stair cases, balustrades, decking rails and hanging shelves. Commercially they are often seen in modern shopping complexes and visitor attractions for safety railings and sometimes shop fittings. 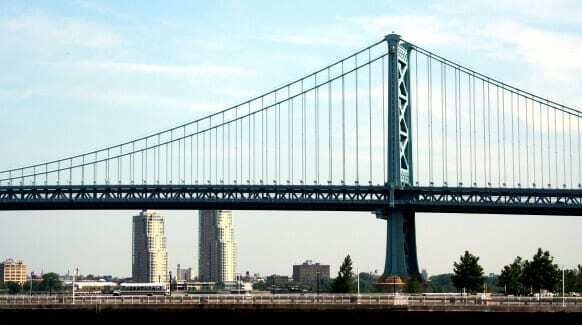 You will have probably also observed stainless steel cable on suspension bridges too. 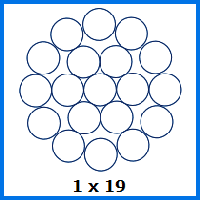 Stainless steel rope is commonly available in 3 forms which are used for various purposes; firstly there is the 1×19 strand rope which comprises 19 different strands to make up 1 rope. This variety is commonly used in the marine industry for mast stays and rigging applications, this is because it has low stretch and excellent breaking load qualities; this rope is also the one commonly utilized for architectural and decorative purposes. It is also used around the home as it has a lovely smooth, shiny appearance and so giving a contemporary feel to any home. 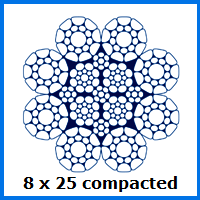 This rope is available in diameters up to 12mm. 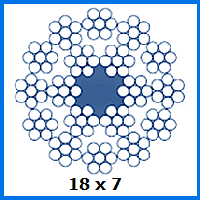 Then there is the 7×19 rope, which comprises 7 bundles of 19 strands to make 1 rope. This kind provides good flexibility and so great for wire-rope control cables, engineering operations, rope slings for lifting applications and also marine applications and sewage works. 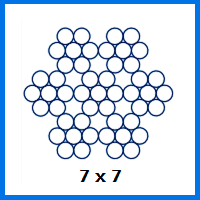 Finally there is the 7×7 rope made up of 7 bundles of 7 strands to form 1 rope. 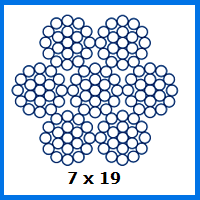 The flexibility of the 7×7 stainless steel rope is somewhere in-between the 1×19 & 7×19. This rope has smaller diameters and so commonly used within the marine and sewage industries but also for wire-rope slings, running rigging, steering cables and guard rails, davits, slings and more. 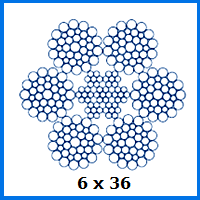 We can also supply you with rotation resistant ropes which you can view on their own page. 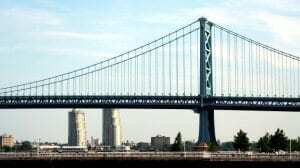 Stainless Steel Wire Rope Overall rating: 5 out of 5 based on 6 reviews.